Do you have a client so chaotic in his or her presentation, that you literally don't know where to start? Too often, this causes a phenomenon I call therapy whack-a-mole – you spend each session taking care of the biggest problems that popped up this week, but you never seem to make any real progress with the client. The diary card is a simple DBT tool that will help you hone in on what is most important to deal with right now. DBT uses diary cards to track anything that is important to your client’s well-being, treatment, and/or process of change as well as the skills they practice. 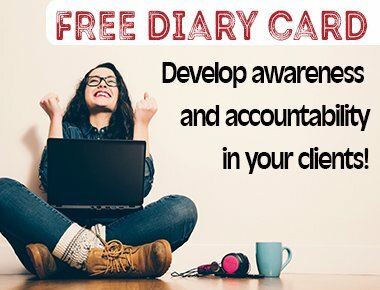 In many ways the diary card is like an abbreviated journal that guides progress, and it provides a wealth of information that allows the therapist support and set priorities for time in session together. 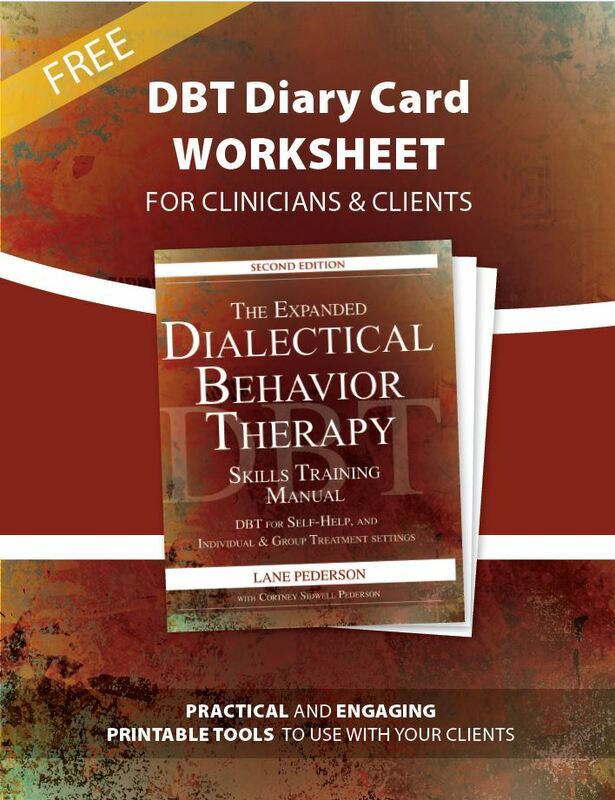 Some DBT therapists and programs use a standard diary card that monitors issues common to DBT clients, and other therapists and programs create specialized diary cards for particular client populations (e.g., children, adolescents, people with chronic pain) or even for each individual client. Standard diary cards track key areas of concern for DBT clients, including self-injurious and therapy-interfering behaviors. Diary cards also have space to list the skills practiced, space to write down feelings, and space to record gratefulness. Some therapists and programs will also have clients monitor their treatment goals and objectives on the diary card. Diary cards are typically completed every day, preferably at the same time, with information from the previous 24 hours from time it is filled out. Most people spend 5 to 15 minutes to thoughtfully complete the card. What clients track and monitor on the diary card is what changes. Observing and describing what they experience and being accountable to themselves to practice skills keeps them moving forward. Clients will notice patterns in their emotions, urges, and symptoms over time, and this awareness will make them more effective in using their skills. Clients will be able to validate their emotions and reinforce efforts and effective skill use, eventually seeing positive changes over time. When something is not improving, or even getting worse, clients can rally their resources and skills around addressing it. Clients and therapists can quickly see what is happening and determine priorities, which will better guide sessions and make better use of time together. I’d like to share some free examples of standard diary cards and blank diary cards for you to customize for your client population, as well as instructions for use. Click here to download the free worksheets and to watch the free video.